GP Audio was selected to do a complete audio system upgrade to there beautiful sanctuary. 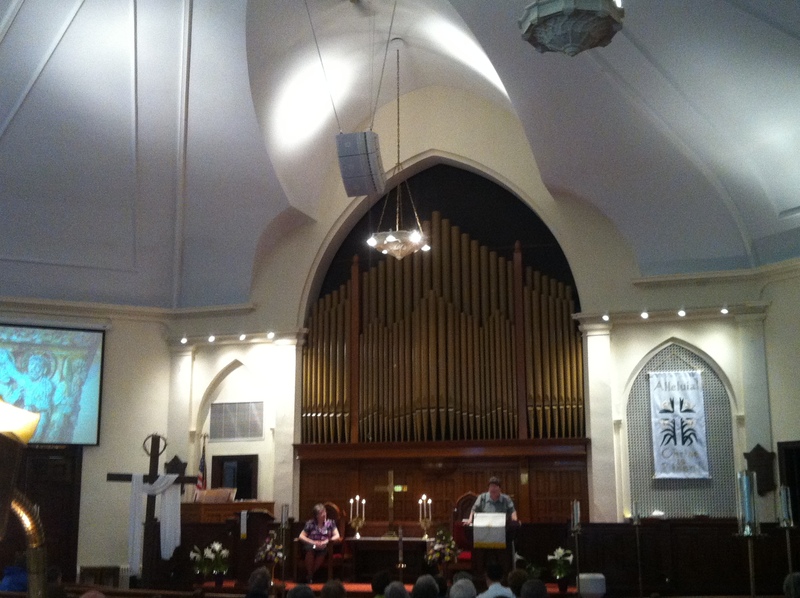 Equipment selected included JBL VRX constant curvature line array speaker system to provide equal volume from the front pew to the back. Also two VRX subs were utilized for low end to enhance the sound for the contemporary services. A Yamaha LS9 digital mixer was installed enabling mixes to be recalled for different worship services and programs. The system is powered by Crown amplification utilizing the onboard DSP for equalization and crossovers. The congregation was extremely happy with the integrability of the new system and it ease of use.